James Lovelock was/is very critic with these "monsters"long time ago.Is any sense to destroys natural and complex environments than really, for sure can helps us to balance the weather and replace it for those static monsters? 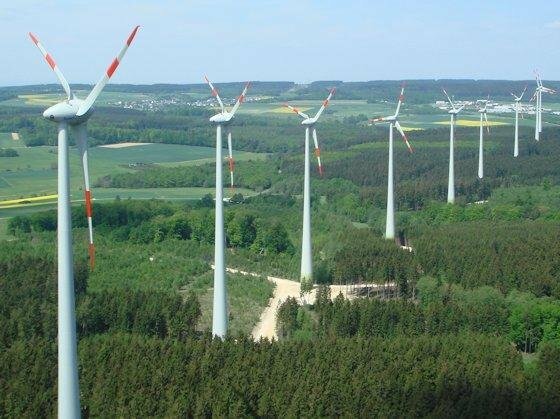 It shows some reasearch on the effects of wind turbine-generated infrasounds. This is a topic is so interesting, i had to do a little research myself. A major company here has recently been listed on the Stock exchange.My god some of these alternative energy sources are BS. I obtained information from this site (Is infrasound from wind turbines dangerous? | DW | 04.02.2013) This article was written from 2013 and yet nothing has been done to curtail the expansion of the industry. Thanks guys i am shocked,but i am aware how clever these investors can be. 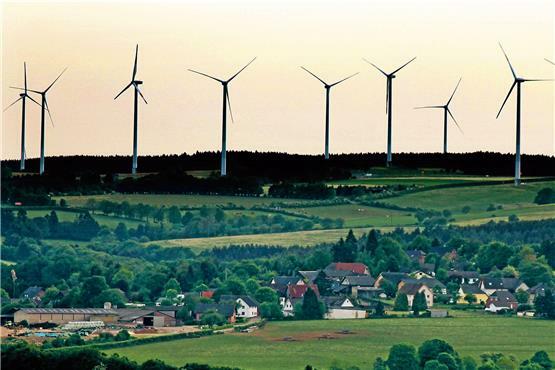 In Germany, authorities have laid out strict regulations for the levels of allowable low frequency noise from machinery like wind turbines. For sounds of 10 Hz for instance, the volume needs to reach 95 decibels before it is deemed problematic. The sound of normal conversation is around 60 decibels. Nevertheless, sound expert Detlef Piorr says German authorities are taking the issue seriously. "It is not as if we in Germany are turning a blind eye to infrasound," he said. "If there are new findings, and there are things that need to be investigated, then the universities will get the necessary funding so that they can research it further." 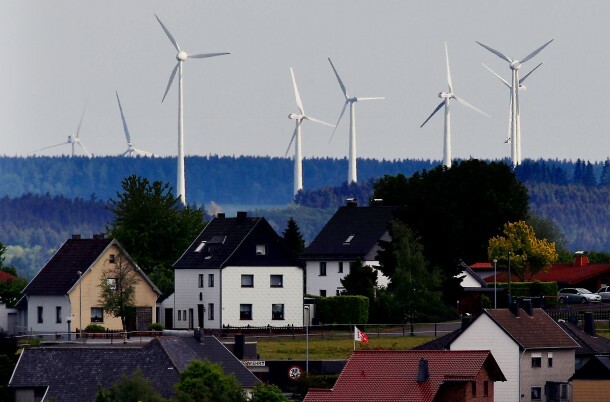 Meanwhile, the German government seems to be taking the US reports seriously – a new research project investigating the effects of infrasound from wind farms has now been launched by the German Federal Environment Agency. It remains unclear when the results of the study will be released. Yes, there is a discussion in Germany about this issue, even in the mainstream media to some extent. There was a good piece on public radio for example where they interviewed a physician who is part of a group speaking out about it, because they see it in their daily practice how many people in villages close to the wind monsters get ill. However, as always, they are hardly being listened to. It's heartbreaking. As someone who is affected by this, I couldn't bring myself to watch it till the end. The amount of evilness and corruption that needs to be present in a society for something so destructive to be thrown at good, normal people just makes me dizzy. The red line is the installed power of solar + wind, whereas the blue and yellow spikes represent the actual power produced. As you can see, the enourmous extension of wind and solar hardly produced any more energy, but most importantly: it's still the same spikes, only that they got larger and more dense! This means that the hope for a "flattening" of the curve due to geographically diverse installations didn't, and cannot work. The most frightening thing about Figure 3 is that the addition of volatile power generation machines has hardly brought us an increase in feed-in power. There is also no evidence of base load base formation. One notices that the forest has become denser at needle tips and the needle tips higher. In practice, however, this means an immensely increased need for control. However, control current is expensive. And every intervention increases the risk of malcontrol. Since electricity is an indispensable component of a functioning infrastructure, any intervention endangers the safety of the population. Conclusion: Every solar panel and every wind power plant only costs us money, does not generate any revenue and increases the risk of malcontrol and thus the risk of blackout. I think we could safely remove the question mark from this thread title. In fact, it should probably be renamed to "Wind Energy: Pure Evil"
I hate them with a passion, and it makes me SO angry. It's such a stark reminder, even in that quiet and beautiful spot I inhabit, of the absolute insanity of this world. I mean, the destruction of the landscape ALONE would be enough to be against these things. There are so few areas of real solitude left, untouched by industrialized/corporate Man, across our Western nations. The wild uplands and serene coastlines where the horizon touches the sky unmolested are those last places of refuge those of us with a sense of spirituality retreat to, to recharge our batteries. The beauty of Nature's expressed purity connects us on a profound level... She speaks the language of our soul. The PTB know this. This is why wind-farms are aggressively pursued to impose upon those last remaining areas of natural beauty and solitude. They wish to disconnect us further than we already are in this modern materialist world of synthetic environments. The more recent scourge of the land targets the valleys and wooded lowlands in the form of solar farms. Across the southern half of the UK the rural landscape is increasingly becoming a checker-board of black glass; fields of it, along south-facing hillsides, in wooded clearings and across open meadows. I see it as an expression of Evil. I see it as an expression of Evil. Speak out about this madness while you still can. When a valley is flooded for a hydroelectric power plant, the people who lived there lose their homes. They have to leave their homes and with their homes they lose their history, their past, their culture, everything that has made up their lives so far. Everything sinks, everything is swallowed up by the floods of an energy-hungry time. Only the steeple sometimes still stretches its arm out of the water like a drowning man who no one rushes to help. What should the inhabitants of the village do? They know: They cannot escape this sacrificial ritual. Their lives are sacrificed to make another life possible - one that corresponds to the feverish dream of modernity, the dream of a life of sitting, a life as a ruler that monitors the dynamics of world affairs from its throne. In this way, people submit to their destiny and move to the places they are offered as alternative quarters - places without history, without past, without culture. But what they have lost lives on in their hearts. The image of the old homeland remains alive in them. In this way they can shape their new places of residence according to the image of their old homeland. Certainly, it will not be the same homeland. But perhaps it will be a home and, who knows, at some point a new home for their descendants. 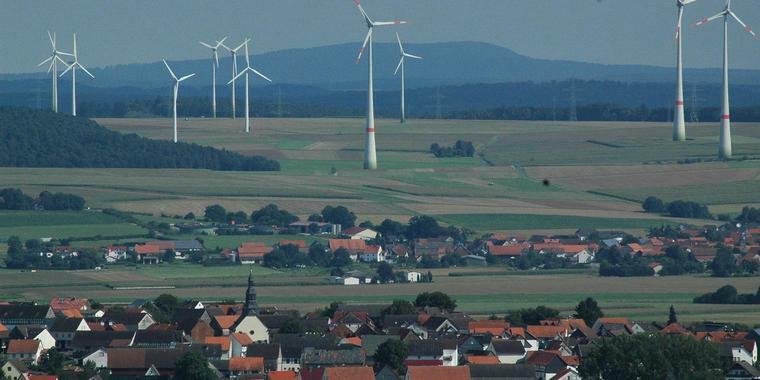 If a valley is surrounded by wind turbines, the people who live there will also lose their homes. From one day to the next their village is only the forecourt of a power station, their hills are transformed into foundations for gigantic industrial plants that stain the valley with their flickering shadows. Past, culture, history - everything sinks into the vast shadow of an energy-hungry time. Of course: the houses are still standing. No reservoir has flooded them, and even the steeple still rises undamaged from its centre. If it could speak, however, it might wish to be able to rise out of a large, dark lake as a memorial to the loss suffered. In reality, it looks like a warning dwarf finger, which nobody notices next to the gigantic steel towers. The inhabitants of such a village are also sacrificed to the feverish dream of modernity, which is electrified by its own seemingly unlimited possibilities. They also lose their homeland, their culture, their lives. Nobody wants to live like them, nobody wants to trade with them. Like the ferryman in the fairy tale, who is condemned to sail back and forth between life and death in the twilight realm until an unwary traveller takes the helm from him, they are ostracized, with whom no one wants anything to do. But they are told: What do you want? Your houses are still there! What could be more beautiful than living under the cathedrals of the present? Or do you want to refuse to believe in the new age? Do you seriously deny the salvific power of the great miracles of wind exploitation? And so there is no escape for the inhabitants of the village. There are no resettlement programs for them, no one offers them to rebuild their old homeland in another place, illusory as that may be. They cannot say to themselves: Well, the old is destroyed, but it lives on in our hearts, let us re-create it according to this image. For the images in their hearts do not remain untouched by the reality of the buried world in which they have to live. Yes, their world has perished as if in an invisible reservoir. One can dive through them as if through an underground museum that silently bears witness to a bygone time. Ghostly, as their own revenants, the inhabitants sneak around their houses. This article verbalises so bitter-sweetly the abomination of the above pictures. It's a sharp lesson in trying to let go of that restricting emotion-anger. I'm working on it although we don't have them too near to where I live , so it may be a case of-not in my back yard. What I think every morning when the sun shines is about all those children who live in high-rise buildings and never walk on grass. It's very hard to grasp that fact when you really think about it. Sorry, went off tangent there. 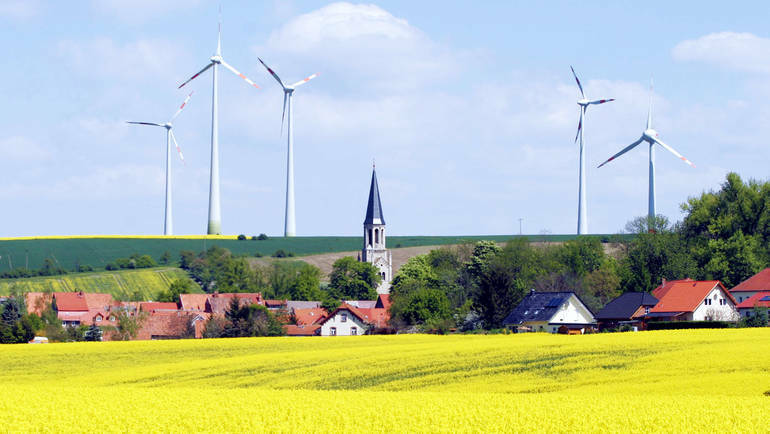 I lived in Germany in the mid-'80s for several years and was very impressed with the beautiful countryside, so the effects of wind farms in Germany saddens me. I wasn't aware of how massive this undertaking currently is there. The scale of these wind farms, like most everything else in the modern world, prohibits most people from deriving any real benefits excepts as consumers. More common, large scale hydroelectric power plants are more efficacious, but I wonder about all the effort and expense needed to reduce line loss and distribute the power, even in these systems. What if as much effort, engineering, and materials were spent developing more human-scale systems? What if these types of systems were open-source, and within the reach of average citizens on the local level? What if they could be built in a job shop environment, or even in a garage? Small energy-producing hydroelectric systems are currently being used to good effect in third-world countries to provide power to isolated villages. 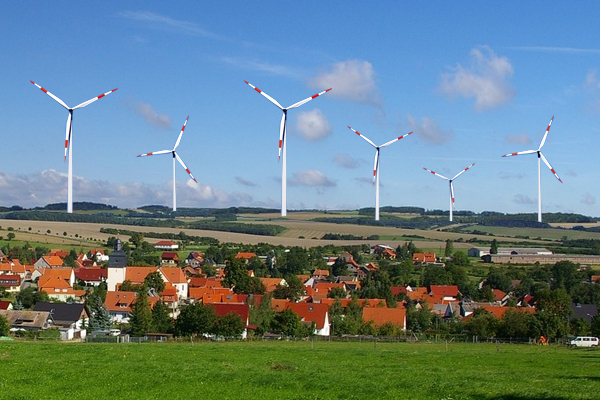 Possibly even wind power would be more useful as a small system on someone's personal property. Distribution problems would practically be eliminated. Large scale farming, power-production, manufacturing, etc., all seem to be designed to make 'the big guys' rich by charging monopoly prices. These systems all feed far-away cities and towns which would be helpless without them. Even human waste is piped out of modern homes and businesses via another of these gigantic systems. It's like the Matrix Movie - modern life is easy but it has made people weak, helpless and dependent. Here are a couple of examples of what could be effective, small-scale hydroelectric power producing technologies. Such things could be worthy causes for the .01%, who instead donate to fashionable, but dishonest charities. I was reading recently that meat and dairy farms are supposedly the greatest source of greenhouse gases, and there is a move afoot to replace them with lab made products. It seems that these wind farms are doing serious harm to the livestock, the surrounding wildlife, and to the people who live there who operate the farms. So maybe it is designed to drive those people out or make it so their land and business is made worthless so it can be bought out by major corporations. Underlying all of this is the man made global warming nonsense. All of these things are done in the name of reducing green house gases, blah blah. But I feel it is being done for much more nefarious purposes. When you see the things done in the name of Global Warming, you can see just how dangerous that narrative is.